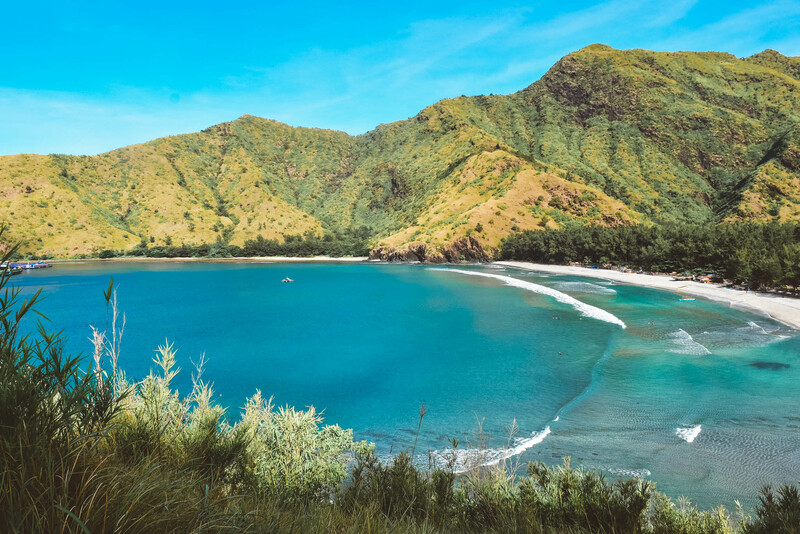 Anawangin Cove in Zambales has crescent-shaped beach where grayish, volcanic sand and cerulean water blend majestically. Here, cliffs rise hundreds of feet from the ocean floor to Agoho-fringed peaks that were sprinkled by nature from the last eruption of the nearby Mt.Pinatubo. I first visited Anawangin Island back in 2009, it’s one of the first beaches in the Philippines that I’ve been to when I was just starting to travel (I wasn’t even blogging yet that time). 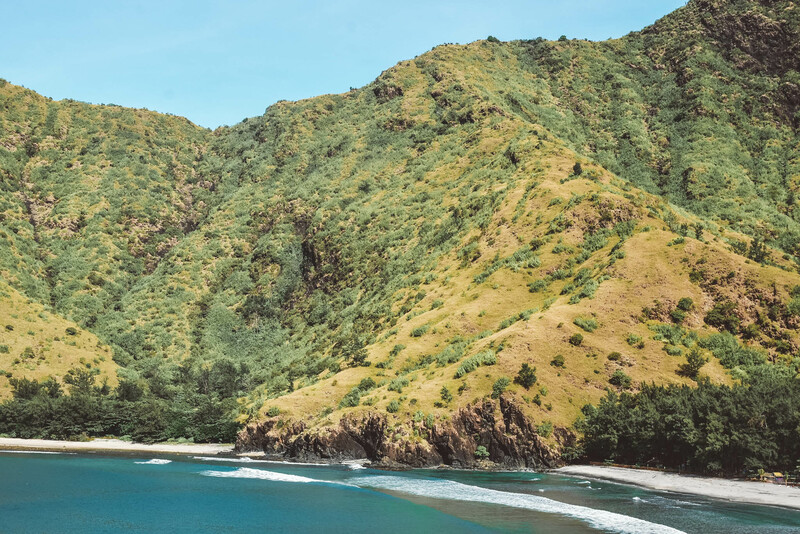 I wondered how it looked like now, so when I was in Subic, Zambales to attend a gathering recently, I decided to take a side trip to Anawangin Cove before going back to Manila. I miss traveling solo, and I missed unplanned trips. No detailed itinerary. No hotel bookings. Because truth is, lately, I feel like I need to find inspiration to keep going. And I find solace in going back to places where I started traveling to remind myself of where I started and where I wanted to be. It keeps me grounded and it reminds me of my purpose. It sounds cliché, but traveling makes me appreciate life more. Whenever I’m feeling lost and empty, I look at the word map to remind myself there’s still a lot of places to tick off my bucket list. It keeps me going. Check out my Batangas YOUTUBE video! Don’t forget to click SUBSCRIBE here. 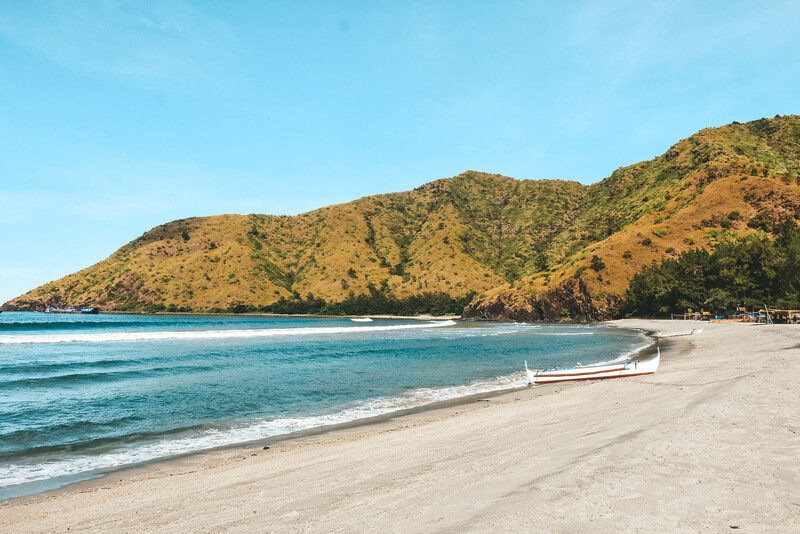 So how to get to Anawangin Cove in Zambales? 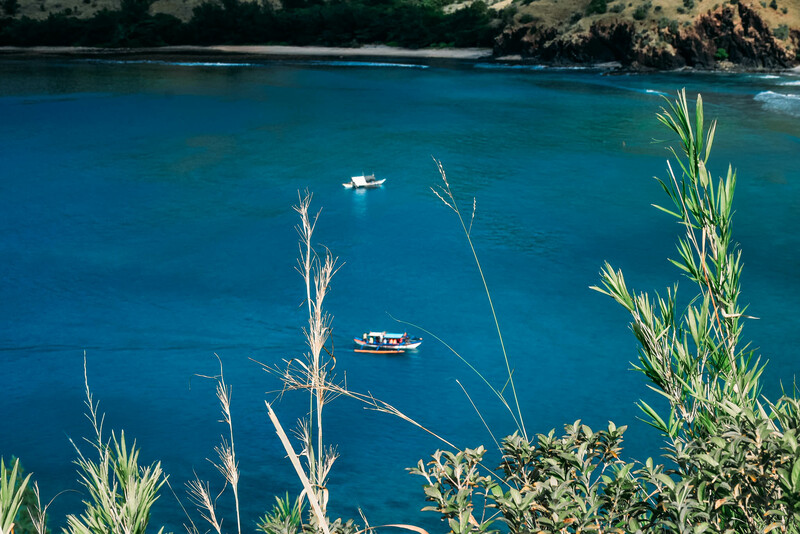 The cove is accessible from Manila by bus or by private vehicle. Ride a bus bound for Iba or Sta. Cruz, Zambales. Victory Liner has daily trips to Iba, Zambales from Cubao, Caloocan, Earnshaw and Pasay. Bus fare to San Antonio, Zambales is roughly PHP 270 (USD 5.41 /EURO 4.49/SGD 7.19/MYR 22) and travel time is around 4-5 hours depending on traffic. Alight at San Antonio bus stop. Hail a tricycle to take you to Pundaquit (I usually go to Purok 2). Tricycle fare is PHP 60 (USD 1.20 /EURO 1/SGD 2/MYR 5) if you are alone and PHP 30 (USD 0.60 /EURO 0.50/SGD 0.80/MYR 2.41) each person for two or more passengers. Travel time is around 20 minutes. At Brgy. Pundaquit (I usually go to Purok 2), hire a boat to take you Anawangin Island. See Anawangin boat rates below. Alternatively, from Manila (Pasay, Cubao, Caloocan or Earnshaw), you can take a bus (Victory Liner) bound for Olongapo (I suggest you take the Olongapo bus via SCTEX for faster travel time). Travel time is about 3-4 hours and fare is around PHP 245 (USD 5 /EURO 4/SGD 7/MYR 20). At Brgy. Pundaquit, charter a boat to take you Anawangin Island. See Anawangin boat rates below. Here’s the list of Anawangin boat rates including NAGSASA + ANAWANGIN + CAPONES ISLAN HOPPING TOUR boat rates. Rates mentioned below are round-trip fares. Here’s a list of Anawangin Cove rates and entrance fees. If you plan on camping, I recommend bringing your own tent. 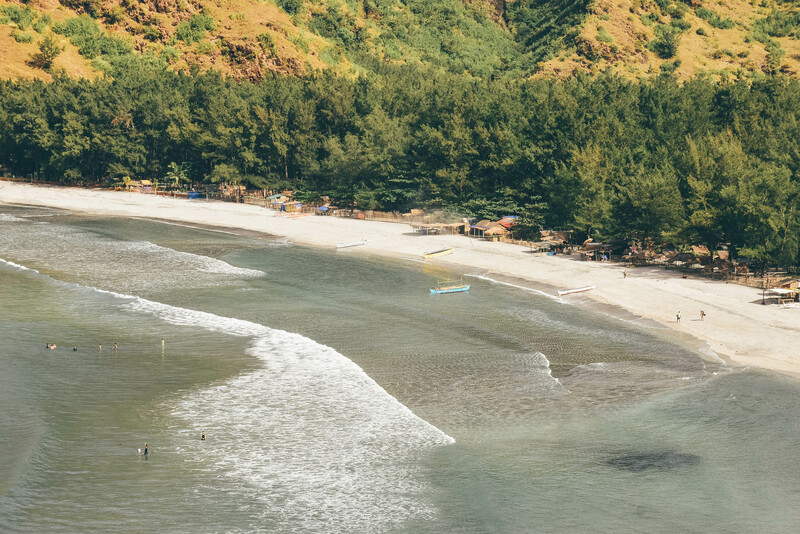 You can go swimming and hike up the nearby hill for a scenic view of Anawangin beach and its surroundings. If you plan on camping overnight in Anawangin, bring your own tent or rent one for PHP 500/USD 10 (EURO 8.32/SGD 13.32/MYR 40.23). But I suggest buying a tent instead for future use. You can buy a tent for as cheap as PHP 1,000/USD 20 (EURO 16.64/SGD 26.65/MYR 80.46). Alternatively, you can rent a cottage at Anawangin Cove for PHP 200/USD 4 (EURO 3.33/SGD 5.33/MYR 16) – PHP 350/USD 7 (EURO 6/SGD 9.33/MYR 28). Good for 2 – 4 persons. Alternatively, you can stay in Brgy. Pundaquit like I did or stay in San Antonio, Zambales. *To check the rates, click on the link, change the date to your intended date and click search. 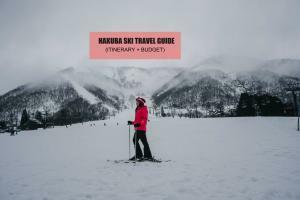 Here’s a sample Anawangin Itinerary with expenses/budget breakdown good for a solo traveler. You can camp overnight in Anawangin, bring your own tent or rent one. Alternatively, you can stay in one of the resorts in Brgy. Pundaquit like I did, but best to book ahead (see links below) to save. I find the online rates cheaper than walking-in. You can also do Anawangin as a day trip. Feel free to tweak the sample Anawangin itinerary below. 09:00 AM Charter tricycle to Brgy. Pundaquit. 12:00 PM ETA Anawangin Cove. Swimming. 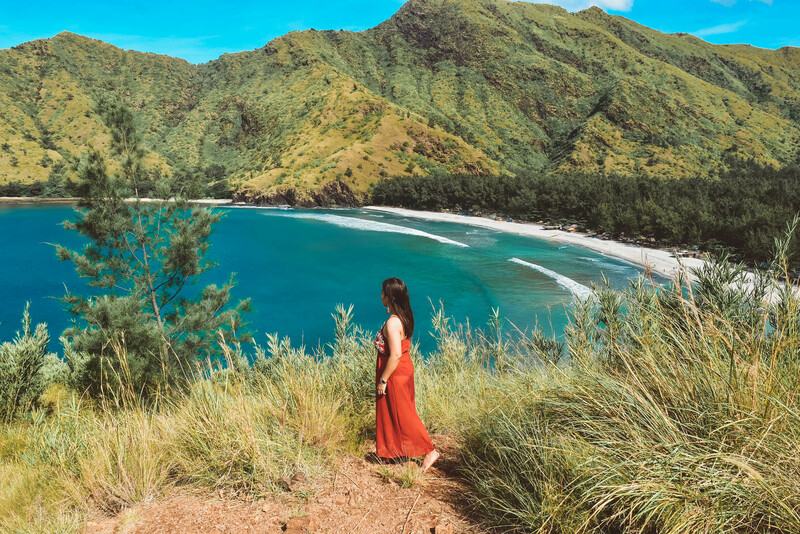 Hike up the hill for panoramic view of Anawangin Cove and photo op. 09:00 PM Lights out. Sleep. 08:00 AM ETA Pundaquit. Take tricycle to San Antonio, Zambales. *The PHP 2,010 (USD 40 /EURO 33/ SGD 54/ MYR 162) sample expenses for Anawangin trip is good for a solo traveler. 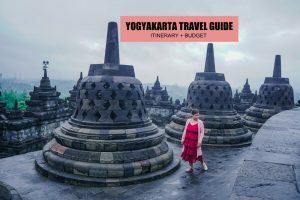 This sample budget can go down if you have a travel buddy or you are traveling with a group. There’s no electricity in Anawangin Cove, but some resorts have generators so better come prepared with flashlight and power banks. There’s a canteen in Anawangin Cove (Chef Ronnie) that is open 24 hours. There are a few stalls offering snacks like halo-halo, turon, banana cue, etc. But you can save by bringing your own food. Bring can and bottle opener, knife, and match or lighter if you plan to cook or prepare your own food in Anawangin. Bring mosquito repellent if you plan to camp or stay in a cottage in Anawangin Cove. Bring sunblock to protect your precious skin. Please do not leave your trash anywhere. I’ve seen tons of trash left on the hill. You can bring your own garbage bag, take it back to the mainland ad dispose the trash properly. I am planning to go here on weekend can you please tell me if the boat rate is roundtrip already or just from Pandaquit to Anawangin only? I’m planning to go camping with my GF. Will our bags and belongings be safe when left in the tent? do they provide lockers or something similar? I suggest you carry the important stuff. No lockers. May I ask If may available na parking slot if may dalang private vehicle? Can we bring our 7-yr old son? Or is this adventure more like for adults only? I don’t really recommend bringing kids because of the waves. But if you really need to tag him along, make sure he wears a life vest. Do they provide life vest in boats?